Between Ste. Catherine St. and Rene-Levesque Blvd. Private party options available for minimum of 10 people, semi-private party options available for less. 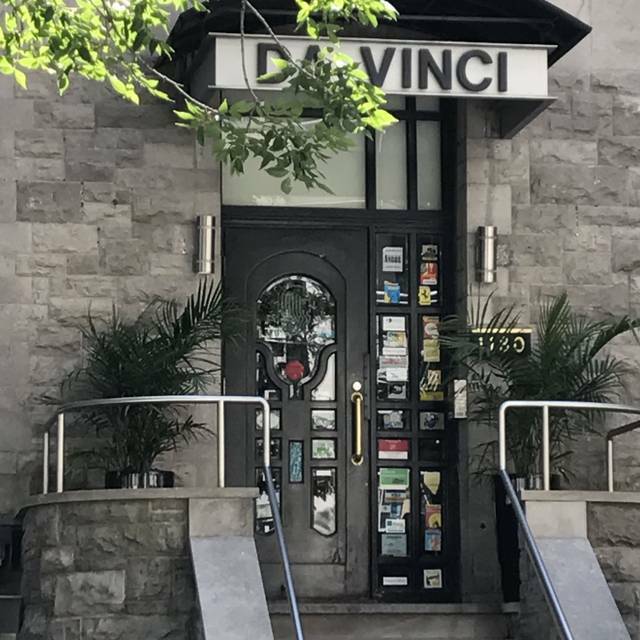 Located in a beautiful three-story Victorian grey stone building from the 19th Century in the heart of downtown Montreal, Ristorante Da Vinci is located near all major hotels and in walking distance from the Bell Centre. Ristorante Da Vinci has been a premiere dining attraction and destination in Montreal for almost 60 years. Ristorante Da Vinci offers its guests a feast for the eyes, a refined palate and a unique table service. With the highest regard for food preparation as well as a long and impressive wine list combined with an elegant interior design, Ristorante Da Vinci sets the perfect atmosphere for the most memorable dining experience. 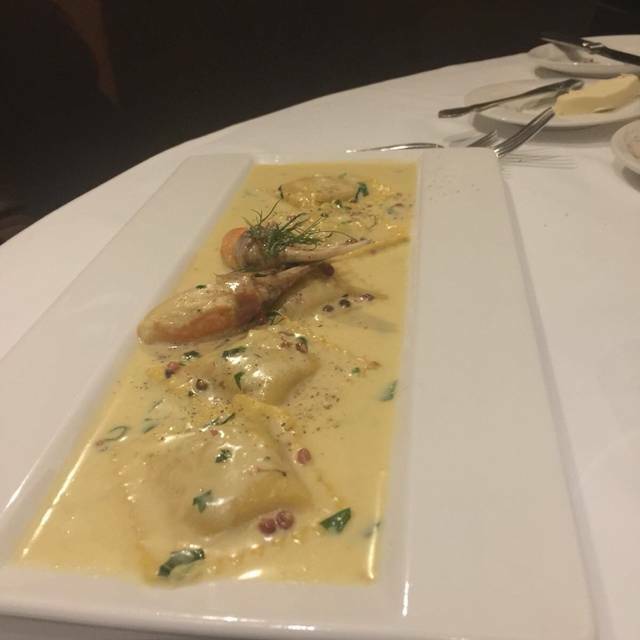 Whether you are at the restaurant for a casual pre-game celebration, a lovers date or a corporate diner, Ristorante Da Vinci can guarantee you a memorable culinary experience. CHECK OUT OUR VIRTUAL TOUR LINK BELOW !!!! Filet de bœuf Black Angus grillé avec moelle de bœuf et réduction de vino cotto [Black Angus beef tenderloin charbroiled with beef marlow, vino cotto reduction]. Disponibile in [Available in]: 8 oz. - 10 oz. - 16 oz. Faux-filet argentin désossé grillé sur charbon de bois, servi avec frites maison, sauce aux grains de poivre et fleur de sel assaisonnée [Argentinian boneless ribeye charbroiled served with home cut fries, peppercorn sauce, and seasoned fleur de sel]. Disponibile in [Available in]: 10 oz. - 12 oz. - 16 oz. - 24 oz. 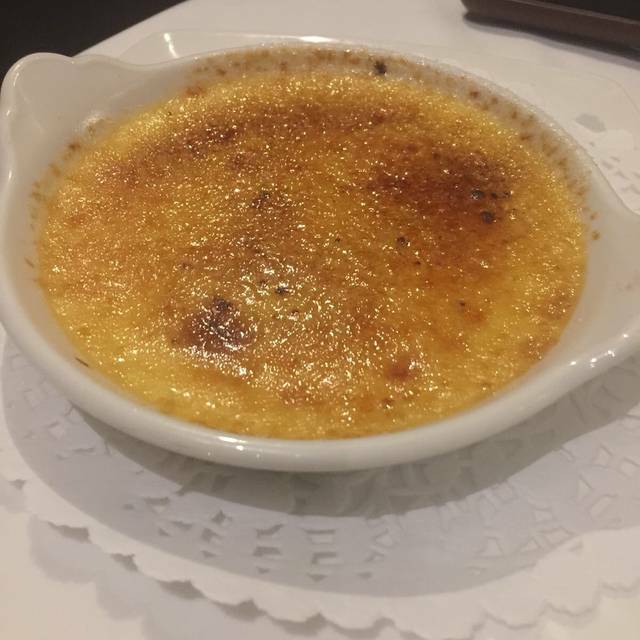 We had such an amazing experience all together; the food was great and the taste was such perfection anything we ordered from starter to the main course, and of course charming staff and their warm hospitality topped our dining experience at Da Vinci Ristorante. This restaurant is outstanding. Our second visit in two weeks! The staff are wonderful, providing great suggestions and very accommodating to requests. I would not hesitate to recommend this restaurant to anyone seeking a lovely dinner. This place was just phenomenal. Service was exemplary. The food was top notch. The wine selection by Carlo was sublime. I seriously could not have put together a more ideal evening if I tried. Attention to detail without being prying. Perfect timing on the food. Amazing recommendations, serious conversations about which wine to pick. I will be back time and time again when I am in Montréal. Eat here without hesitation. The boneless ribeye was cooked to utter perfection. Perfect. First time back after the renovations. Very nice. Enjoyed the meal and ambiance. Will surely go back. Good food butta It dose not worth the high price to be' paid. All in all the level is good but the price would require the "excellence" that there is not. Were there for lunch. No printed lunch set menu available that day, although lunch set menu advertised on the restaurant's web site. Host had no real choice but to apply the on-line lunch set menu. Avoidable embarrassment. Altogether, good food and good service. Nice place also. Fantastic food. Excellent service!! I would not hesitate to recommend this restaurant. The service was outstanding. We were seated quickly and attended to with no real delay. I did not feel rushed at any time. The choice of food was outstanding. I was there on a Monday night and there was no valet parking available which was a bit of a pain, but a garage is just around the corner and they validate. C'est toujours un plaisir d'aller au Da Vinci. Ce n'est pas la première fois et ça ne sera pas la dernière! Super bon service (merci à Lavi pour tout ce qu'il a fait avec son équipe) et le repas, le chef nous propose toujours quelque chose de magique pour nos papilles et notre centre! It was a great evening in the newly renovated Da Vinci. Our host Levi was again truly outstanding aiding us in sampling many of their offerings. Thank you for such a successful dinner entertaining clients and friends. This was 3rd time I’ve had the joy of eating here but this is first time with my wife and the guys were amazing as usual and it was a great memory for my wife! We are from Toronto but will be back! One of our favorites. 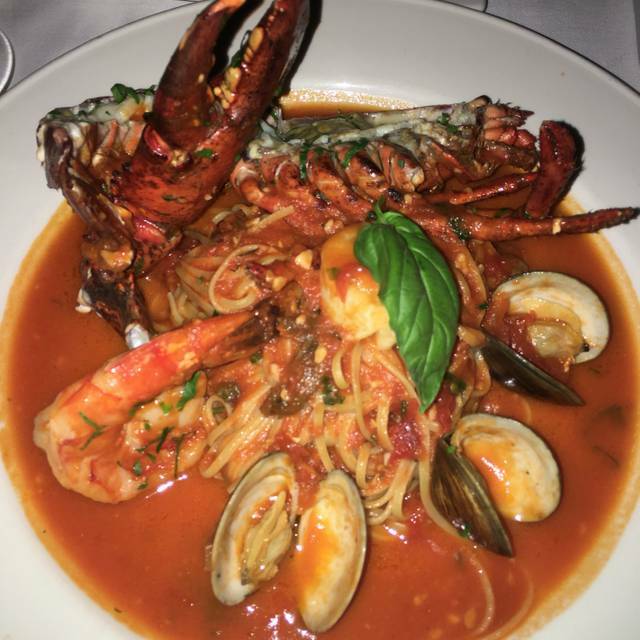 Best classical Italian cuisine in Montreal. Table d’hote at lunch is of the highest quality. A great value with impeccable and gracious service. Not to be missed. Lovely Italian style restaurant in a quiet building near loud street in downtown. You can find a rest in here and also amazing Italy cuisine. We two people served by Lavi, very nice guy and great service! Definitely worth to come again! This is an excellent restaurant. From staff to food, brilliant! Yes it is rather expensive but when dining here, this is what you want. Even though some of the staff are not Italian, well they know their food, their wine, how to match them, and how to make you feel like you are the best customer you have ever felt. I lived in Italy for four years and this place knows their stuff. They value their work, their service, their reputation. You will not be disappointed. If you want cheap go to East Side Mario and get it. If you want quality, maybe with romance if you desire, then go here. You will not be disappointed. It si beyond doubt a wonderful experience. 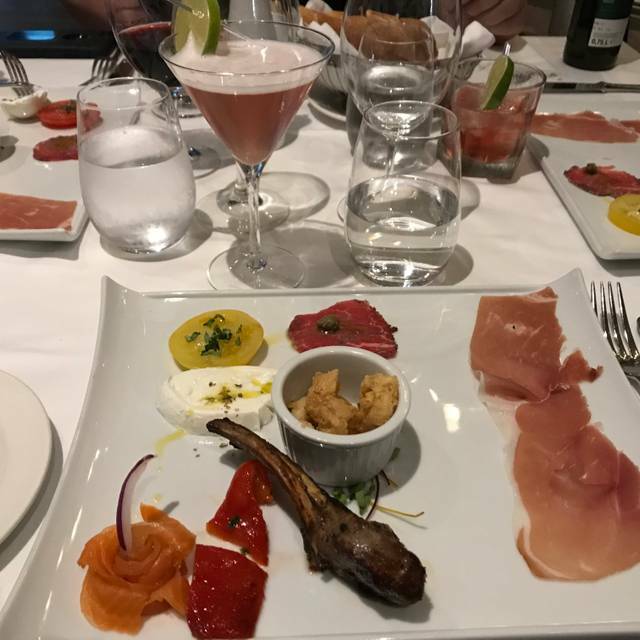 Elegant without being flashy, excellent and efficient yet discrete service, classic and delicious Italian fare, overall a perfect experience. The overall look of this restaurant was very refreshing; nothing over done, very cool and clean. The staff was very friendly and knowledgeable of their menu and wines. If you are a fan of veal, this is the place for you. I highly recommend the osso bucco! Everything was perfect...the drinks, the food and the service. Carlo was friendly, attentive and helpful. They accommodated special dietary requests and everything we ordered ,from appetizers (grilled octopus) to desserts, was outstanding. Very nice evening in this charming Italian restaurant. Great food, excellent wine and fantastic service! 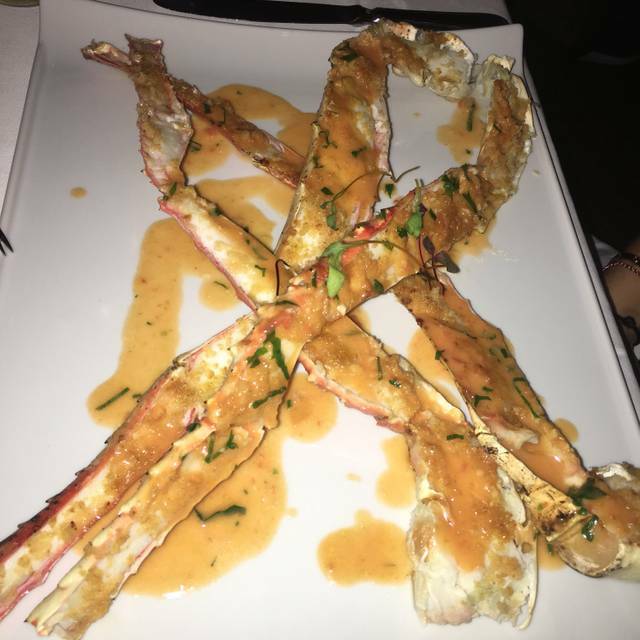 My wife Nicole and I have been very pleased with the service and the great food at your restaurant. We were celebrating that night our 50th anniversary, we met 50 years ago at a class party. 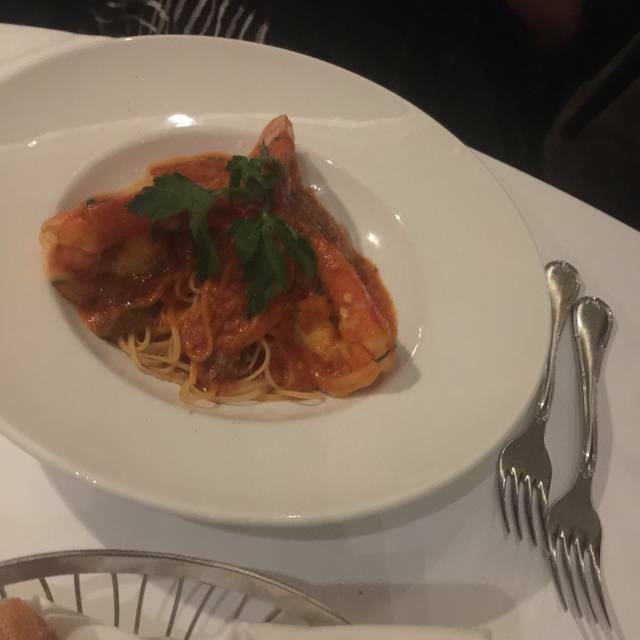 Took my two young children to Da Vinci Ristorante and was a little anxious that it was too nice a restaurant and that staff would not welcome us. It was quite the opposite, Carlo was remarkable, the food was amazing and kids and parents both had a wonderful meal before the game. Thank-you. The ambiance was refreshing to say the least. The service was excellent. Carlos, our waiter, never skipped a beat he gave us an unforgettable experience. The food was delicious and cooked to perfection. Overall a Great dining experience, a must do on your bucket list. The atmosphere is relaxing. The service is wonderful and the food is delicious. You wn’t Be disappointed. Waiter Carlo was amazing and food was delicious. Look forward to going back! Went for my fiancee birthday party and we couldn’t of gotten better service and food . One of montreal TOP restaurants!!! Would have appreciated knowing when I made the reservation for Valentine's Day that the only offering was a three-course prix-fixe menu. And while the food was good and the service started out ok, after our entrees we didn't see our server for 20 minutes. By that time we no longer were interested in dessert and our server did nothing to rectify the situation. Left with a bad taste in our mouth. Food was outstanding and the service was top notch. Our experience at DaVinci was amazing. It was our first time there and our friends from Toronto in for the Leafs game were impressed as well. Our host Lavi was a true professional and very experienced server. He described with passion what and how are meals were going to be prepared and served. Our glasses of water were always full and the service from a multitude of waiters was like nothing we had experienced before at any other restaurant. Looking forward to our next visit. Thanks again for the advice on the free indoor parking. Service was incredible food was even better. The exceptional quality of our meals was exceede by the incredible service. 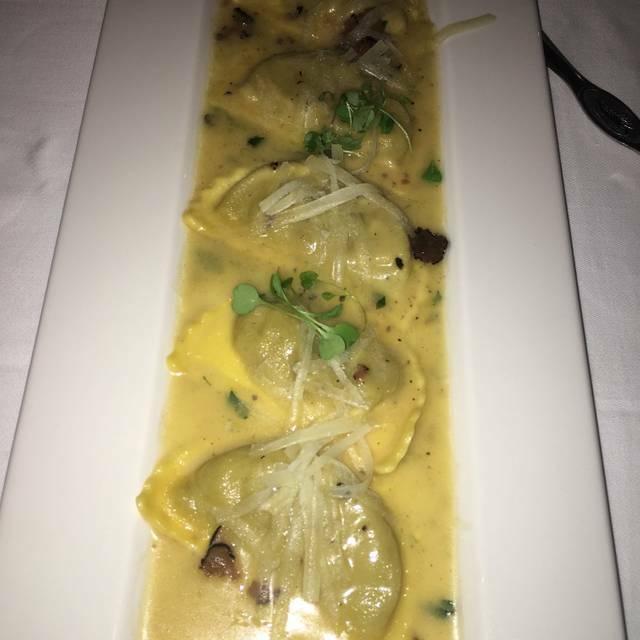 For a true European ambience and culinary experience, Da Vinci is a 5 star establishment! We are thrilled to have had such a wonderful evening !!! Fennominal service and food as always. Head waiter or maître d (Grey suit) took care of us and made excellent recommendations in food and drink. We will be returning the next time we are in Montreal for sure. Mi sono trovato benissimo e tornero` sicuramente. Amazing!!!!!!!! Great Owner great food great service great price !!!! this is what i call 5 star Italien Ristorante! Bravo! The staff are attentive and high caliber professionals, humorous and knowledgeable. The ambiance is delightful and romantic. We arrived early and were seated next to the window. Great experience! awesome food! awesome service.. Incredible, responsive, attentive maitre’de, wait staff. Excellent, well-presented food and prompt service. Warm, relaxed atmosphere. One of our best dining experiences in Montreal. An enjoyable winter evening had at Davinci's. It was a Friday night with pretty bad weather outside which reduced the number of people. The waiting staff was enthusiastic and friendly and tended to our needs. I enjoyed a well prepared beef carpaccio, followed with a very tasty green pea risotto accompanied by 4 oven roasted lamb shanks. Very enjoyable. We also ordered a nice bottle of wine that was well prepared and poured in a carafe by the waiter to let it breath awhile. My wife ordered a beet salad which was quite large and well prepared followed by some charbroiled lambchops. 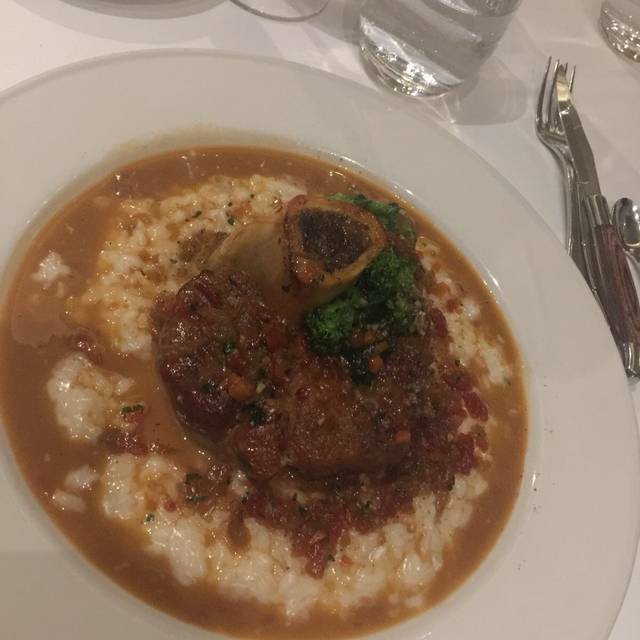 Since it was the holidays and they had just reopened, the Ossobucco which is slow cooked was not yet ready. A very enjoyable evening and we will have to return to try the ossobucco another time!